Myanmar boxers take on Muay Thai fighters. More than a dozen vocalists will perform. J me, G-Tone, Ghetto Pillz, 9mm, Empty Pocket, Sone Phyo and DJ Michael Xeno join Kyet Pa at an event to promote his new album. 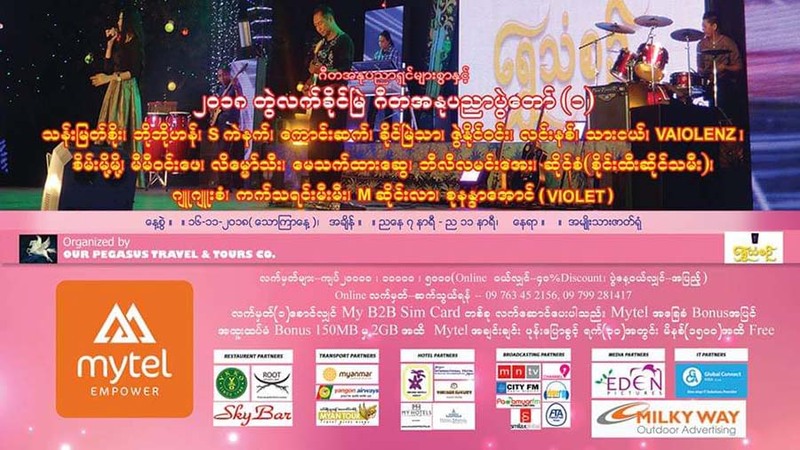 Nov. 17, 4 p.m. Kandawgyi Hmawsinkyun. Buy Kyet Pa’s new album at the entrance to enjoy the show for free. 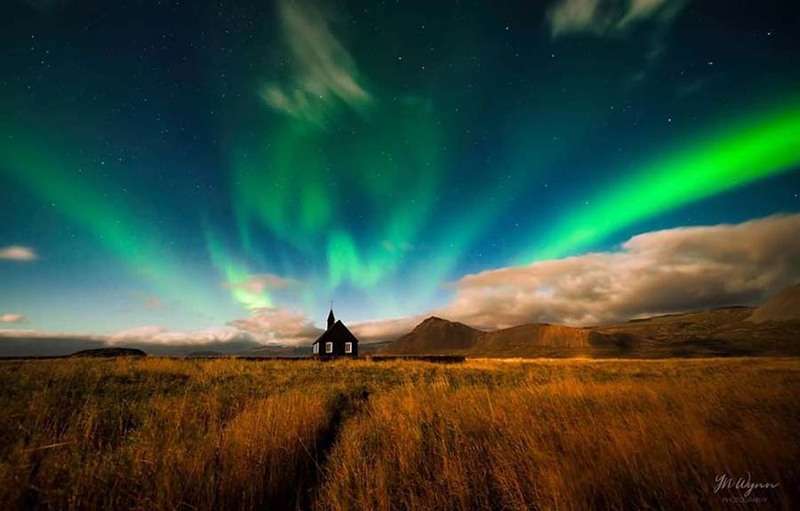 Ye Naing Wynn showcases around 30 landscape photos he captured during five years of globetrotting. Nov. 16-19, 9 a.m. to 5 p.m. The Secretariat building, Botatung Tsp. 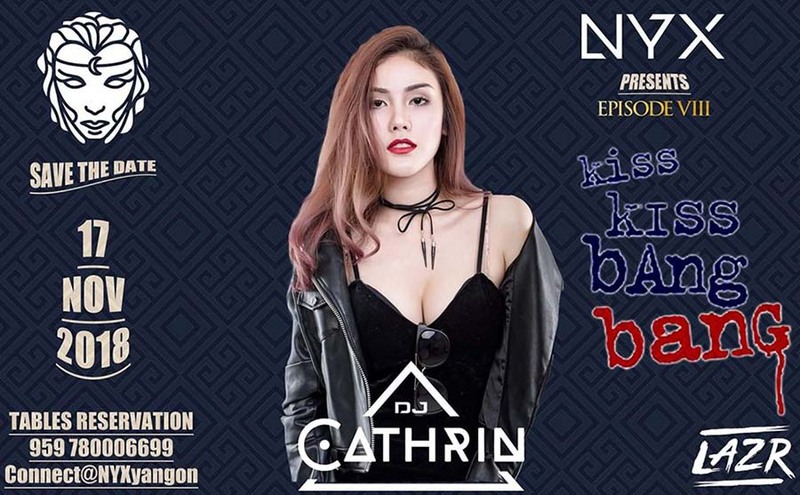 Party night with a Thai DJ. 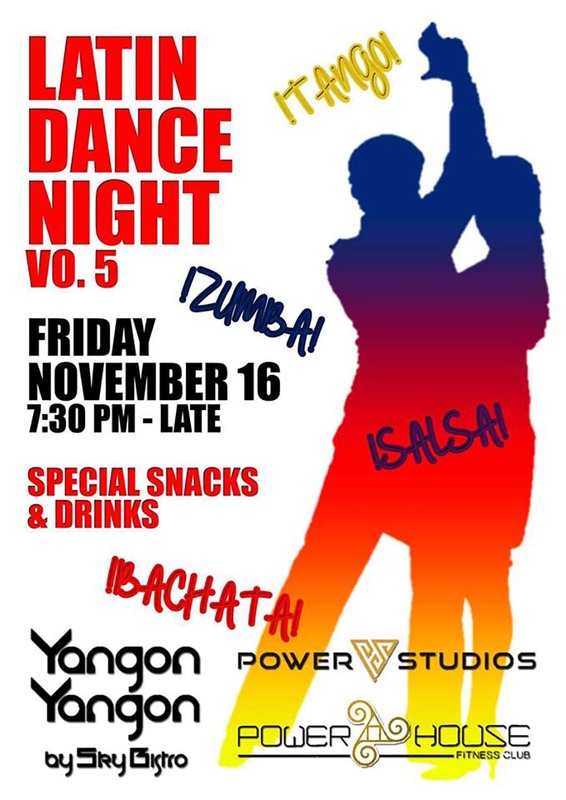 Dance lessons and performances in salsa, bachata, tanga and zumba. Nov. 16, 7.30 p.m. till late. YangonYangon Rooftop Bar, Sakura Tower. 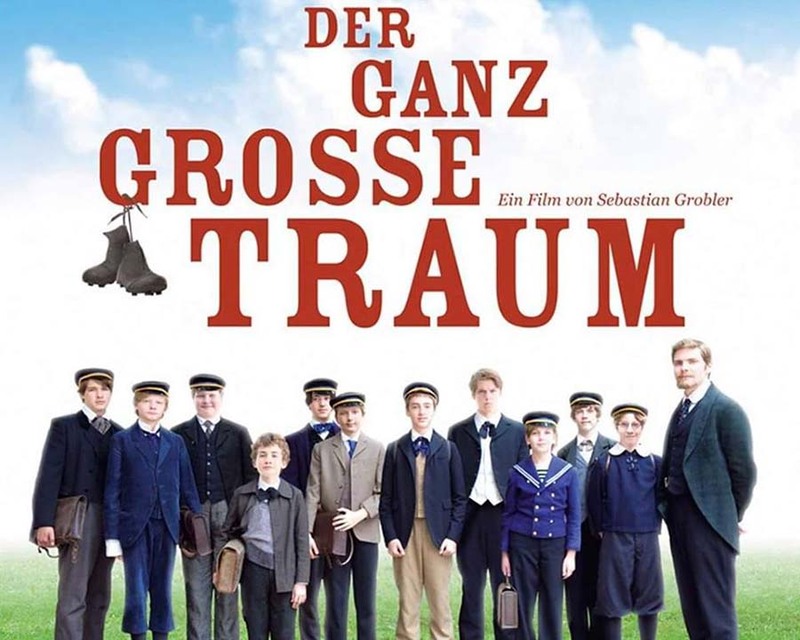 This film is about a visionary young teacher who not only changed his students’ lives, but also introduced the game of football to Germany. 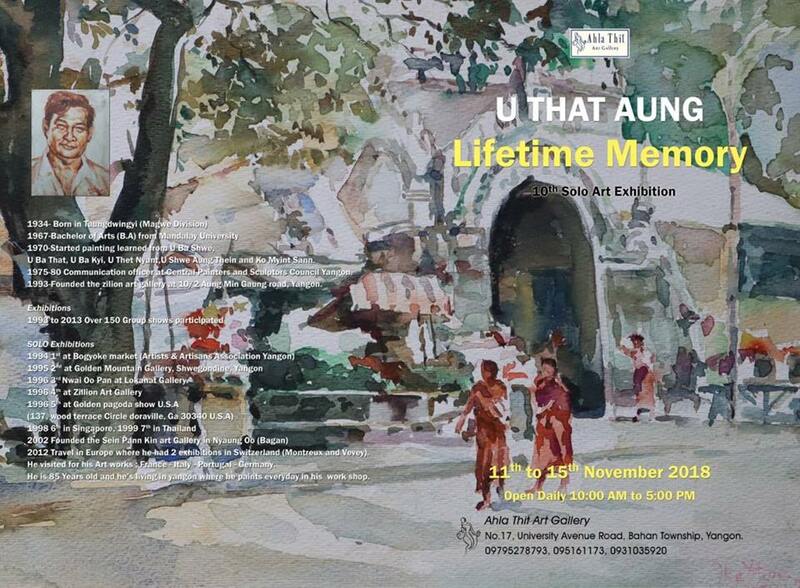 Nov. 14, 6.30 p.m. to 9 p.m. Goethe-Institut Myanmar, corner of Kaba Aye Pagoda Road and Nat Mauk Street, Bahan Tsp. Free admission. An exhibition of posters depicting the independence struggle led by Józef Piłsudski in Poland. No. 15-18, 10 a.m. to 6 p.m. Gallery 65, No. 65, Yaw Min Gyi Street, Dagon Tsp. The artist’s fifth solo exhibition. Nov. 15-19, 9 a.m. to 4 p.m., 43 Art Gallery, 43rd Street. An exhibition showcasing the works of the 85-year-old artist. 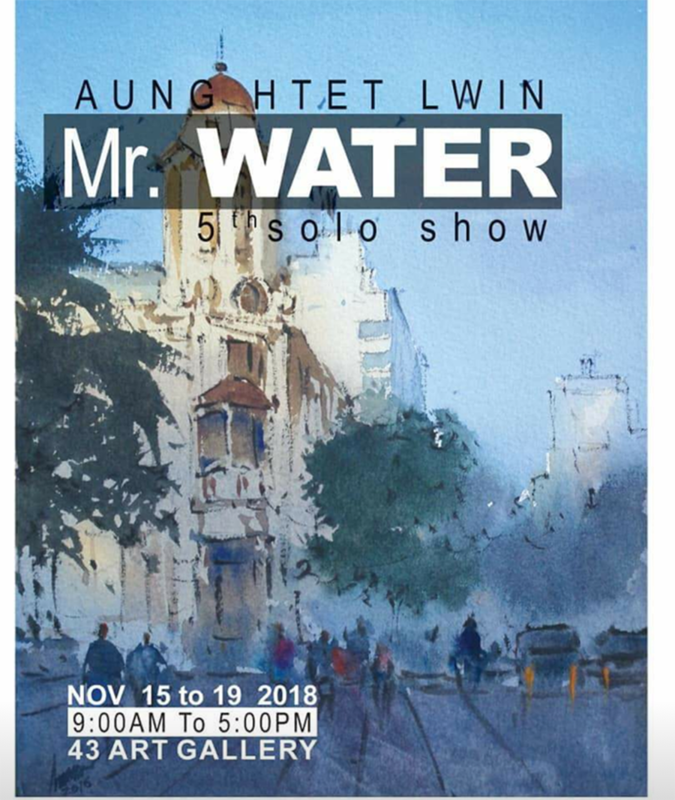 Nov. 11-15, 10 a.m. to 5 p.m. Ahla Thit Gallery, No. 17, University Avenue Road, Bahan Tsp.